What is a Winnebago ASPECT? Aspect, Winnebago RV: Winnebago® continues to lead the Class C market thanks to a commitment to quality construction and innovative features. The Aspect® embodies this mantra with standard amenities such as swivel cab seats that become part of the lounge and a large exterior storage trunk with a recessed compartment where you can keep drinks on ice. Available upgrades include dual-pane Contour™ frameless windows that are unrivaled for their quality in the Class C market. Choose from two floorplans, both with walkaround queen beds and robust entertainment centers, that provide all the residential comfort you crave when you're on the road. 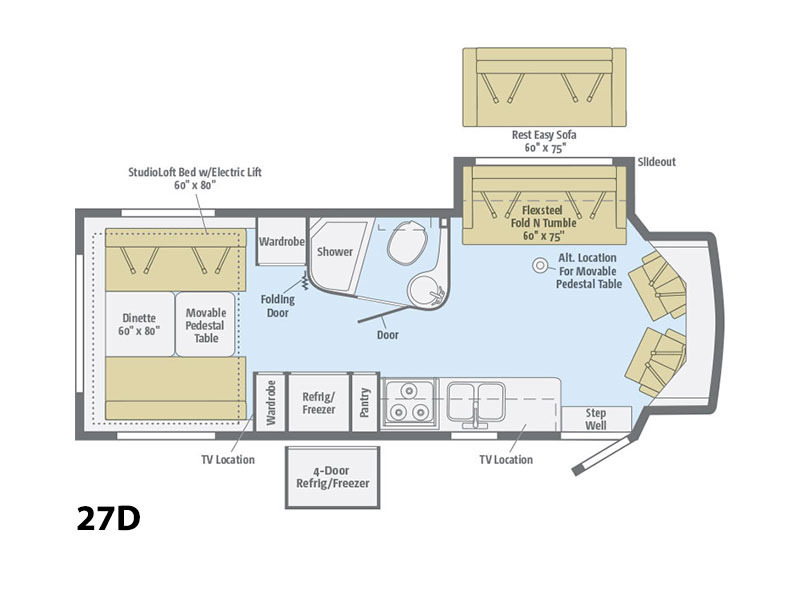 Lead the way in comfort and class in a Winnebago Aspect.